Is there already a train station in Jurong East? Just MRT isn't there Ombugge? Main one used to be Tanjong Pagar didn't it? And no mention of an observation area or tours for tourists. No, no tourists allowed per HSEQ and ISPS rules and regulation. I don't think there are any restriction on the seaward side. You can get pretty close with a launch, as long as the safety rules are followed. Drone flying directly above the terminal will probably not be allowed though. PS> Tourists are supposed to go shopping in Orchard Road and visit Chinatown, not go looking at the industrial side of Singapore. In densely populated Singapore it is amazing that so much wildlife survives. Volunteers and the effort of the Government to keep the water clean and some space for animals to survive and thrive is important. At least this Frenchman didn't start to blame anybody, or demand the Otters be removed. Sensible guy. 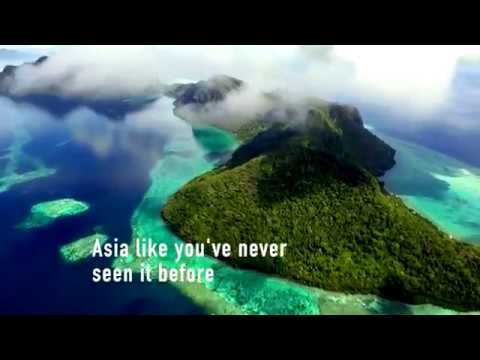 Whilst on my last trip to Thailand, I saw a wonderful program called "Aerial Asia - Singapore".... unfortunately, I can't find it on youtube as of yet. The program was filled to the brim with well-presented history of Singapore, mixed with amazing footage. Strongly recommend this program if you ever have the chance to see it. Singapore and the Arctic, isn't that poles apart??? Makes very interesting points - thanks for that link ombugge. Also the link to Arctic Now in the aviation section. Year of the Dog is fast approaching and Chinatown is already decorated for the occasion. Her English is typical Singaporean as well. Thanks for the very interesting video from Singapore - saw it last night after discovering your post! I need to add to my previous post, that I find the energetic and forward thinking planning of large Asian cities quite amazing, interesting and engaging. They think, plan, and build on a whole another level than how we do things here in for example Norway. There is so much energy and creativity... both in construction and in capability. The youth appears to have a large saying in how the future is formed, and not left only to those of "higher age". In large Asian cities like Hong Kong and Singapore, they build some pretty amazing futuristic tall-rises (for example) while we here in Norway have been discussing whether to build a footbridge across a main road at port of Trondheim for several months. We are stopped dead in the tracks by politicians, an opinionated population, and regulatory restrictions.